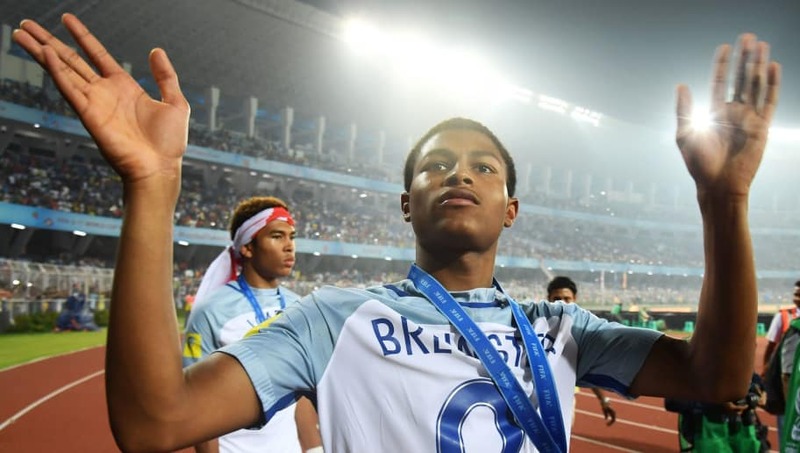 ​Rhian Brewster says he is determined to show Jurgen Klopp he is ready to fight for his place in the Liverpool team after a lengthy spell on the sidelines. The 18-year-old has not played for the Reds since January 2018 after suffering ligament damage to his ankle during an Under-23 match against Manchester City. During his “frustrating” spell out, Brewster was motivated by his manager and is desperate to repay the faith shown in him by the ​club - who offered him a new five year contract while he was injured. As quoted by the Mi​rror, Brewster expressed the gratitude he has for his manager. He said: “Every time I see him he gives me a big hug. Not only him, every time I see the players they are asking about how I am, 'How long? ', they can't wait for me to be back in training. “To know that the boss really wants me to be in his plans for the future is amazing, especially a boss like him. “During this injury I've had that, he has been there from beginning to the end and to know he still wants me - even though it's been so long - gives me a great boost. The England Under-17 World Cup winner also revealed he his fit and ready to return to action. He declared: "It's happened and I'm finally back fit and doing what I love and pushing to get back in the team, hopefully make my debut this year, if not next. "I want to prove to everyone that the boss has kept faith in me for a reason and I want to prove to everyone that I'm good enough to be in the first team."